A look inside a transportable equipment room. 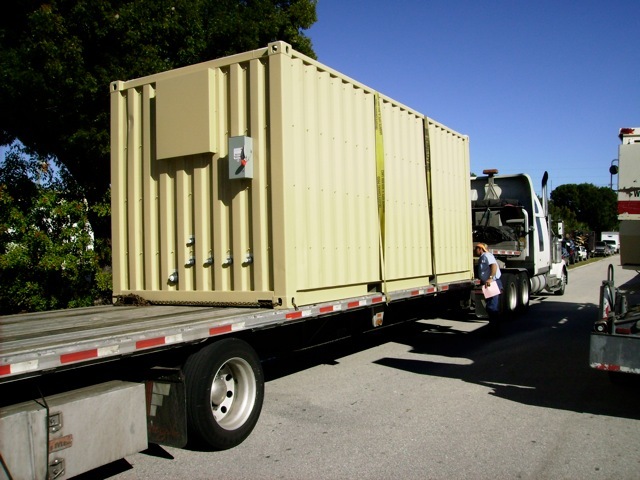 These complete Transportable Equipment Rooms (TER) are ideal for housing washing and reclaim equipment at sites without incurring any construction costs, delays, or permanent structures. Used on military bases, construction sites, and at any facility requiring transportability, these cost effective systems can be configured for a wide range of applications and up and running in a few days. 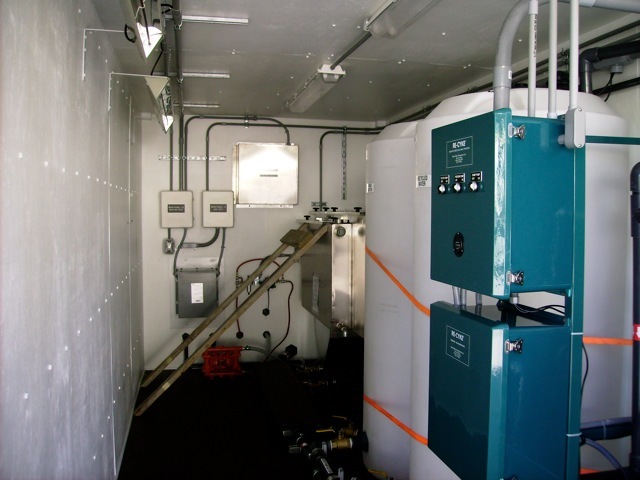 Delivered to your site, this enclosed transportable equipment room sits adjacent to the wash pad and contains complete water recycling, high-volume demucking, and high-pressure washing systems. Transporting an equipment room on a flat bed truck.